A new documentary showcases some of the best fly fishing in the U.S., on water that runs right through the heart of the Northern Rockies. “The Rocky Mountain Fly Highway” is the latest in a series of documentaries by Boise-based Wide Eye Productions. 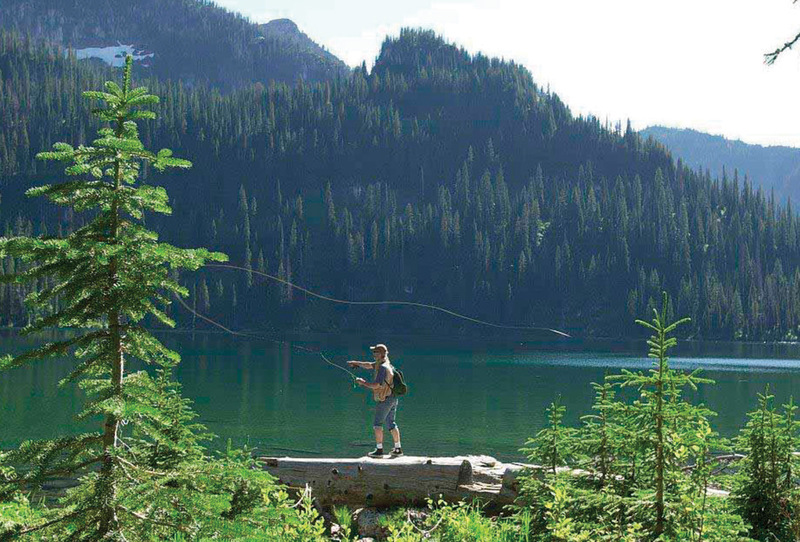 Narrated by actor Tom Skerritt, the film features a route along U.S. Highway 20, a 500-mile stretch of highway that connects the West’s most renowned trout streams and passes through some of America’s most spectacular scenery: jagged peaks, bewitching deserts, shimmering waters in pristine forests. More than a dozen of the world’s best fly fishing rivers, the Yellowstone, Madison, Henry’s Fork and South Fork of the Snake River, Silver Creek and Big Wood, are accessible from this remote section of backcountry highway that passes through Wyoming, Montana, Idaho and Oregon. Visit flyhigh way.com for more information. 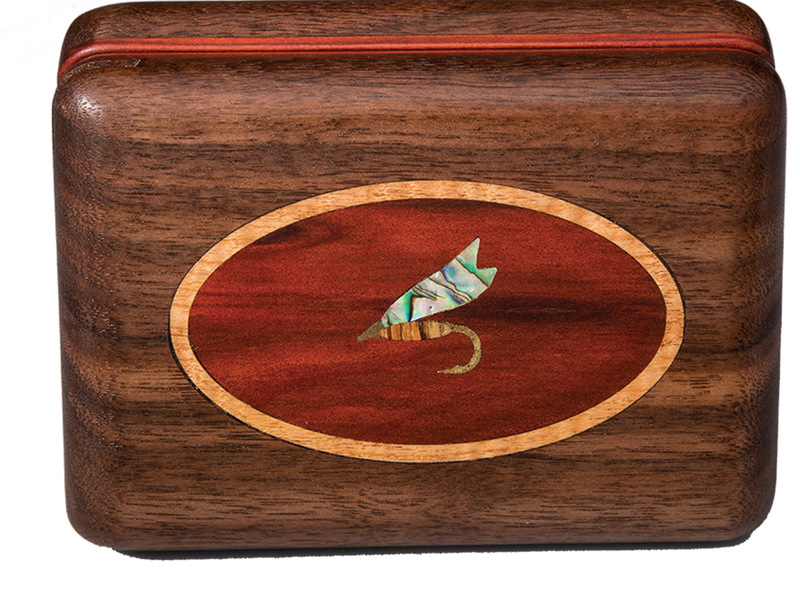 As a fine-furniture maker with a style defined as Neo-Shaker, Al Swanson applies his exacting standards to craft these one-of-a-kind fly caddies. 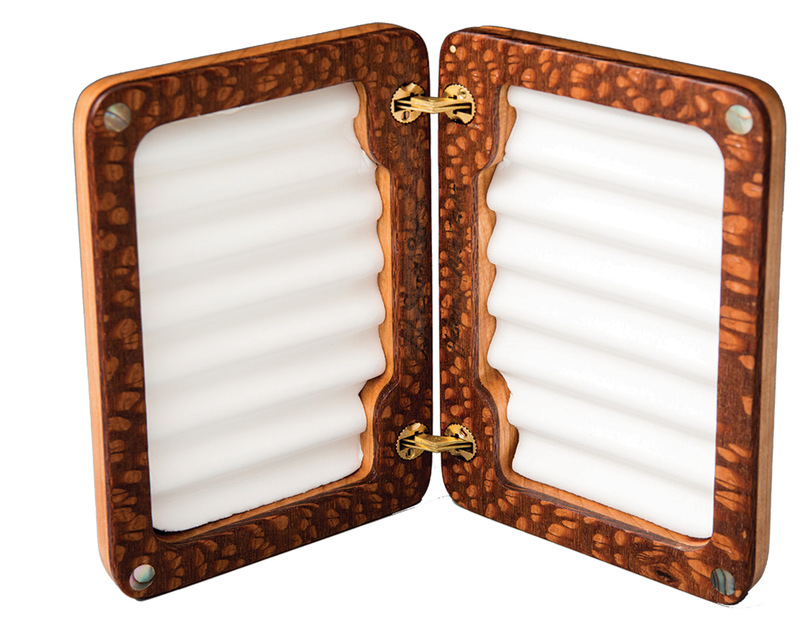 Using sustainably-harvested lumber, solid brass hinges that won’t snag a shirt seam, magnetic closers capped in abalone or mother of pearl, artfully inlaid flies and water-resistant finishes that feel soft to the touch, these fly caddies are both fine art and functional. Handmade in Helena, Mont. 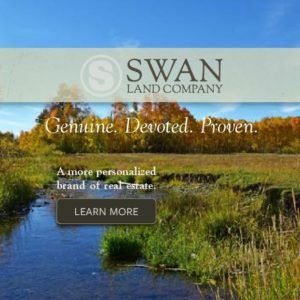 For more information, call 406.439.6397, or visit alswanson.com. In Bozeman, Mont., the Museum of the Rockies will host their popular TwoFly event September 11 and 12, 2015. 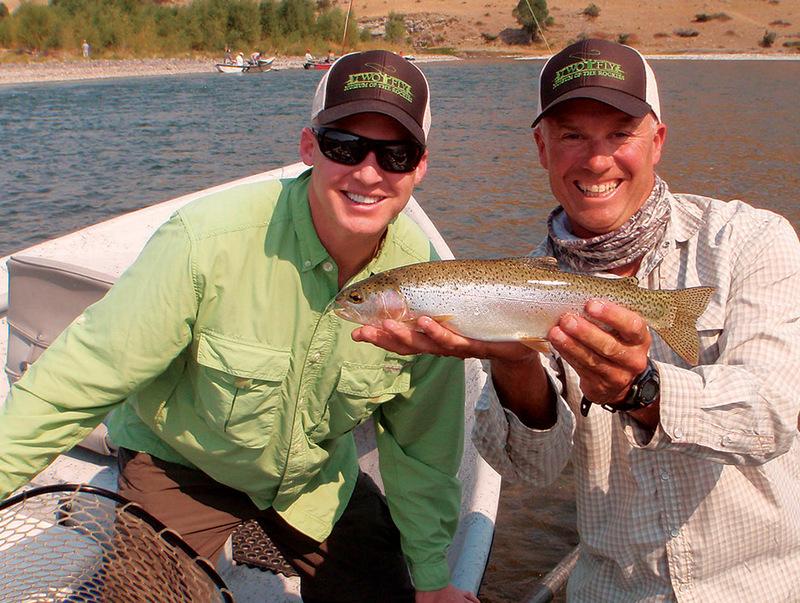 TwoFly pairs anglers with professional guides for fly fishing on the blue-ribbon waters surrounding Bozeman using only two flies and fishing on either the Yellowstone or Madison rivers. The event concludes Saturday back at the museum with an awards ceremony and dinner at the Living History Farm. Proceeds will go to benefit educational programs at the museum. For more information, call 406.994.1998 or visit museumof therockies.org. The Jackson Hole One Fly event has produced countless tales of angler skill and folly, and this year — its 29th anniversary, held September 10 through 12, 2015 — should be no different. 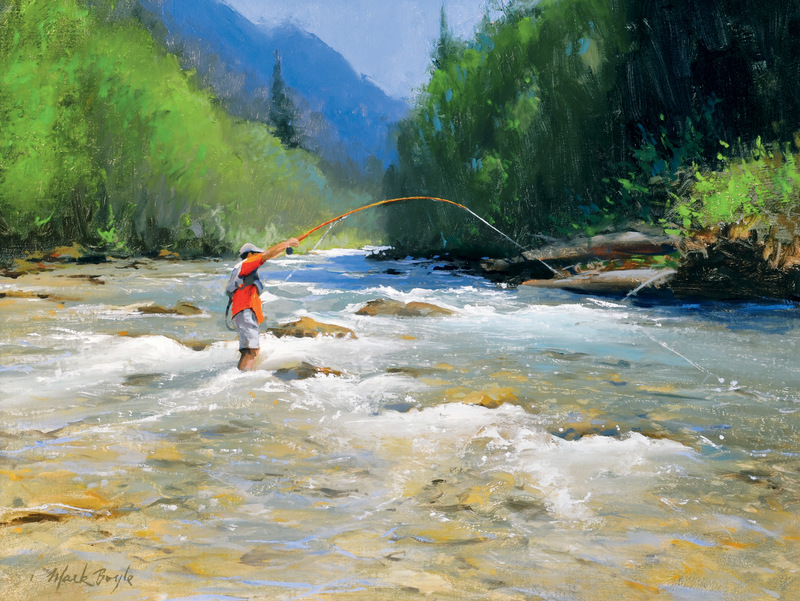 Friday evening’s festivities include live and silent auctions accompanied by dinner, the proceeds from which will go to benefit trout restoration and habitat conservation, primarily in the Snake River Basin. Saturday and Sunday are all about the fishing, but here’s the catch — you can only use one fly. 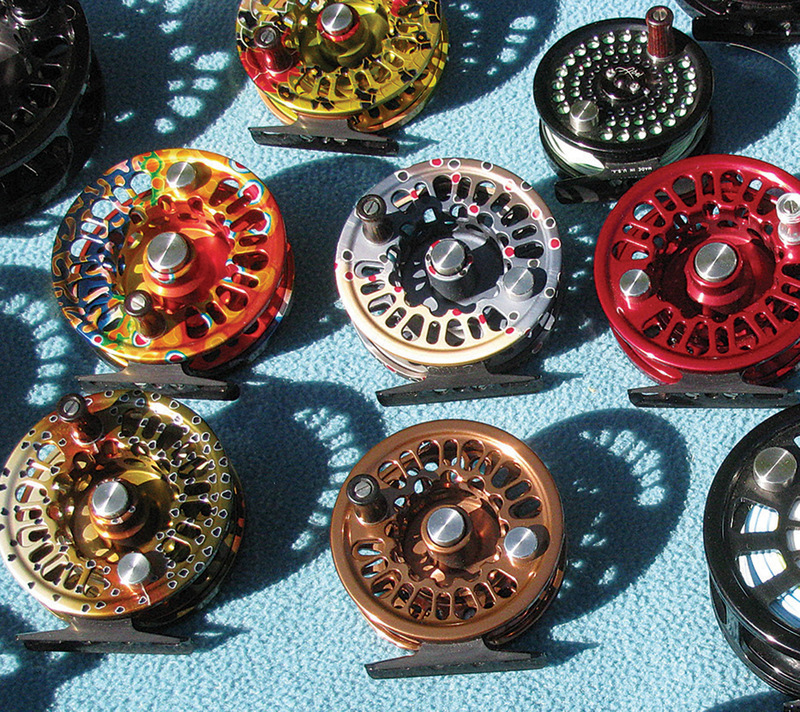 Find out which fly and angler rise to the top during Sunday’s award dinner. For more information, call 307.203.2654 or visit jacksonholeonefly.com. This annual fly fishing festival in Ennis attracts nationally known fishing experts such as Craig Mathews, Dan Delekta, Mike Lawson, Bob Jacklin, John Juracek and others. 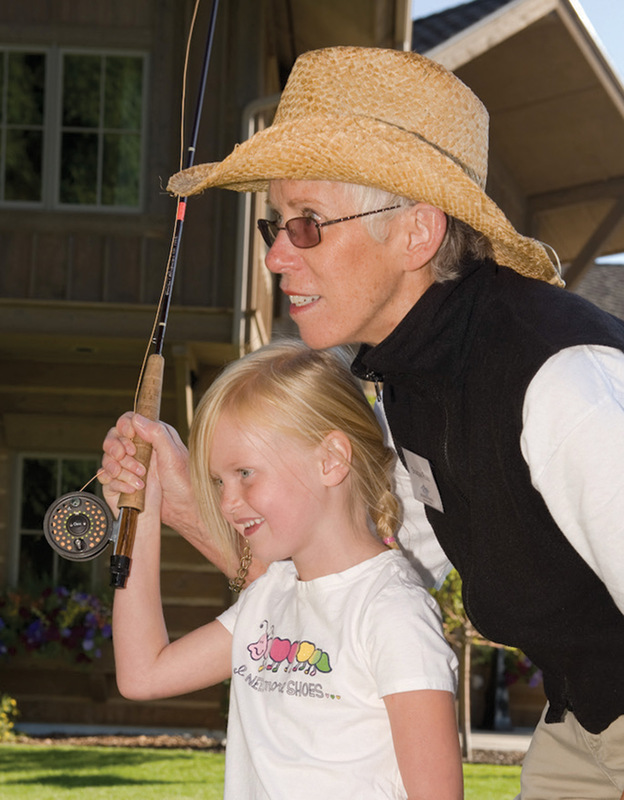 Held on Labor Day weekend, August 28 and 29, 2015, the festival features fly-tying seminars, fly-casting clinics and competitions, tackle dealers and exhibitors, angling art and a kids’ program, all a few short steps away from the Madison River. There’s also a raffle for gear, guided trips, artwork and more. A gala barbecue rib dinner on Saturday evening features live music and a drawing for a 16-foot, fully equipped 2015 ClackaCraft drift boat and trailer. For more information, call 406.682.3148 or visit madisonriverfoundation.org. 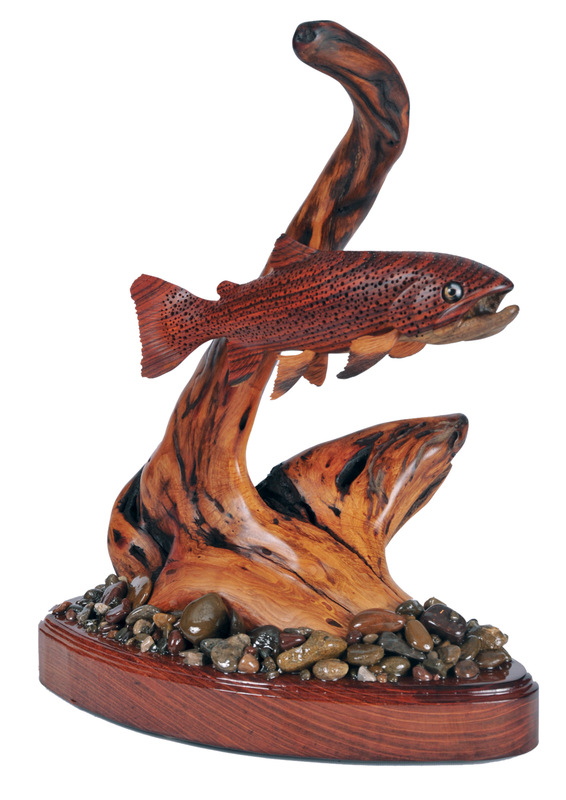 Set in a community graced by world-renowned trout streams and rich in fishing traditions, the Montana State University library in Bozeman is home to a distinguished trout and salmonid collection. 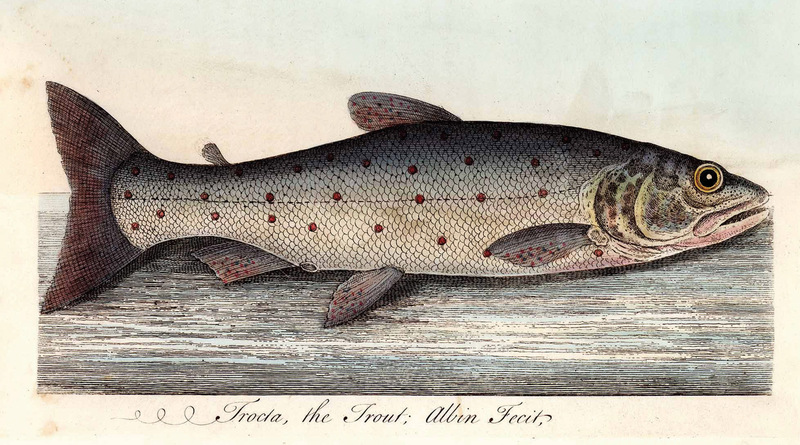 Composed of nearly 11,000 titles ranging from camp-style culinary books to 16th-century scientific works, the collection is evolving into the world’s premier trout and salmonid research center. In addition to extensive collections of published materials, the library also actively collects personal papers, manuscripts and corporate records of entities and individuals who have had significant impacts on angling and angling culture. Along with the ongoing collection of printed materials, the MSU library is working on several new projects, including an Atlas of Angling in the Greater Yellowstone Ecosystem. The atlas is a website celebrating the stories, sights and sounds of angling. The artifacts, record histories, documents, soundscapes and regalia that shaped the history of fly fishing in the Rocky Mountain region will serve as the basis for an Internet-accessible database. As part of this project, the library will incorporate its Angling Oral History Project, which records oral histories of the general public and of influential anglers, such as Leigh Perkins, Joan Wulff and Tom Morgan. Sixty years of research on fish and fisheries has given MSU a strong tradition on which to build. For more information, contact the library at 406.994.4242 or visit lib.montana.edu/trout. The C.M. Russell Museum has announced a schedule for its annual exhibition and sale to benefit the museum. This signature event takes place during Western Art Week in Great Falls, Mont., March 19 through 21. The Russell will kick off the weekend with an art preview party on Thursday. On Friday, the crowd-pleasing Art in Action quick-finish event returns to the Meadow Lark Country Club. Also on Friday, the lively and casual First Strike auction will be expanded to 100 lots of art submitted exclusively by living artists. “Last year, First Strike was incredibly popular and successful, so we’re altering the Thursday evening event to serve solely as a party, and will move the art that would have been featured in the silent auction to Friday night’s live auction,” says Executive Director Michael Duchemin. With this expanded format, all artist submissions are now welcome. On Saturday, the museum will present an educational symposium at the Mansfield Convention Center focusing on wildlife, land conservation and the upcoming exhibition “Harmless Hunter: The Wildlife Work of Charles M. Russell.” The exhibit will be on display at the museum in the summer of 2015. The symposium is free and open to the public. The main event is The Russell live auction on Saturday night, featuring superior historic and contemporary Western art. The Mansfield Convention Center will be transformed into an elegant setting for this signature gala. Throughout the week, the Russell Skull Society of Artists will display and sell artwork in booths at the convention center. These 23 distinguished painters and sculptors are recognized by the C.M. Russell Museum for their efforts to keep C.M. Russell’s traditions alive. The Russell will open to the public at the museum on Feb. 19. With this exhibition, Western art lovers and collectors will have a month to view all of the classic and contemporary Western artwork that will be available for bidding during the March festivities. For more information, visit cmrussell.org/the-russell or call the museum at 406.727.8787. 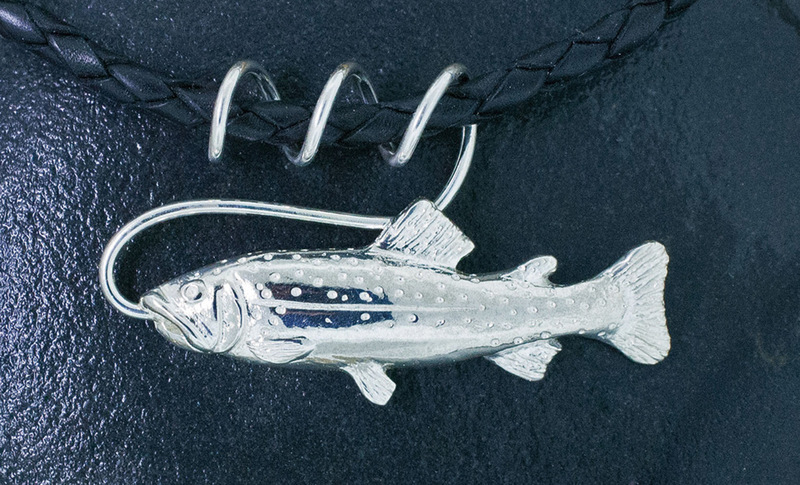 Tight Lines Jewelry channels the allure of fly fishing into jewelry that suits the ardent angler, whether river purist or god of the lake. Commemorate a memorable day on the water with a pendant or set of cufflinks that feature delicately detailed reels, arctic grayling, brook trout, rainbows, small mouth bass or bonefish. Each design is hand carved in wax and then cast in either sterling silver, yellow or white gold. 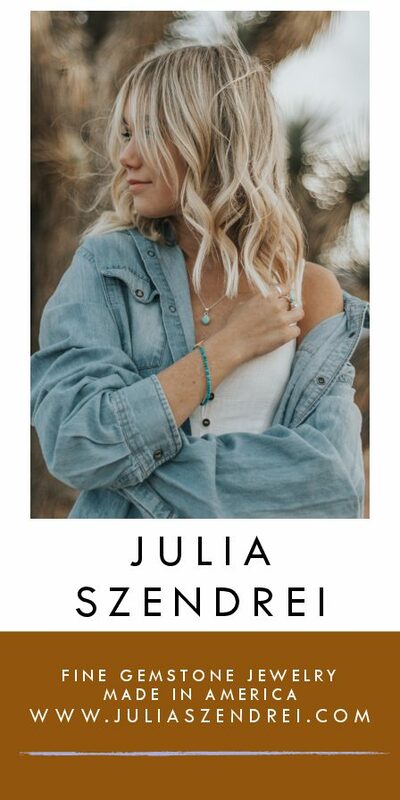 Founder and designer Renee Schatzley had crafted custom jewelry for about 30 years when she was first asked to create a piece that exemplified the beauty and strength of the art of fishing. From that first creation, she expanded her work into a full collection featuring pendants, necklaces, rings and tie pins for both men and women. Visit tightlinesjewelry.com for more information. The Dana Gallery, in Missoula, Montana, is accepting applications for Icons of the West, an independently juried exhibition opening May 2015 and continuing through June 2015. All mediums will be considered. Awards include $2,500 for Best of Show and $1,000 for Most Original Thematic Interpretation. Awards and/or prizes will be given in other categories including: Best Landscape, Best Figurative, Best Traditional Western, Best Contemporary Western and Best Critter. The deadline for entries is April 9, 2015; or send a prospectus email, iconsofthewest@danagallery.com. For more than a decade, the Montana Fish, Wildlife & Parks has worked through its Future Fisheries Improvement Program to restore rivers, streams and lakes to improve the state’s wild fish habitats. The agency makes available between $350,000 and $650,000 each year for projects that revitalize wild fish populations. Project proposals to benefit wild fish are considered for funding every year in June and December. In just one watershed, for example, the program funds 12 projects that focus on arctic grayling restoration. The program spent more than $400,000 in the Big Hole River drainage between 2006 and 2008 to restore portions of the Big Hole and Ruby rivers for these native fish. Work funded by the restoration program will bring 32 miles of the Big Hole and its tributary streams back to health. To learn more, and to download a grant application, visit FWP’s website at fwp.mt.gov. Fly fishing on Cold Lake in the Mission Mountain Range.